The good thing about travelling with Virgin is that they give you a free copy of Wallpaper* as you board – a vast improvement on the token Daily Mail you usually get when flying, although I do still advocate a copy of Heat for when you’re three gins in and just need to look at pictures of Kim Kardashian. One of the features I was particularly taken with this time was a spread on Larry McKaughan, Seattle’s very own King of Vintage. 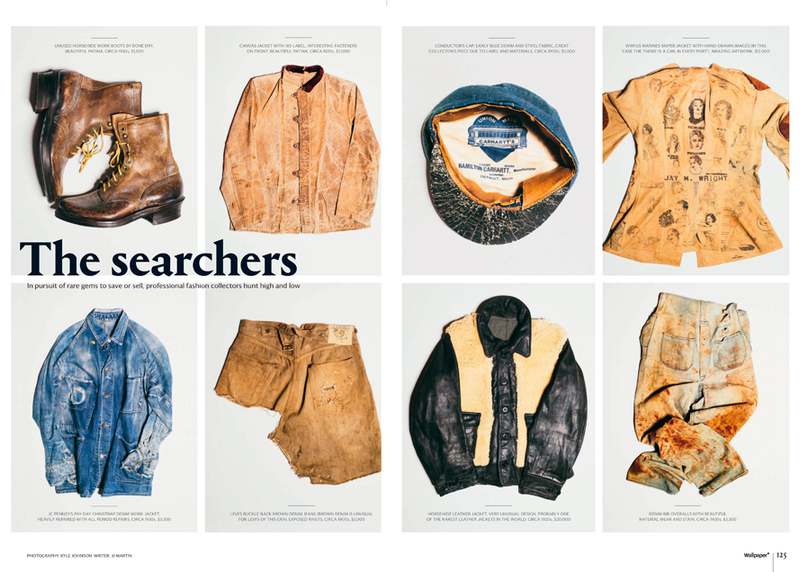 Larry collects American workwear, specialising in pre-1930s menswear – Levi’s from the 1800s, deadstock Carhartt, Depression-era Bone Dry workboots… How’s about that for niche? I could have read loads about Larry, but sadly he was only a small part of the overall feature. His pieces, however, made up a lovely photographic spread documented by Kyle Johnson. He really brings to life the character of each garment – wouldn’t you love to know more about the stories behind each of these? 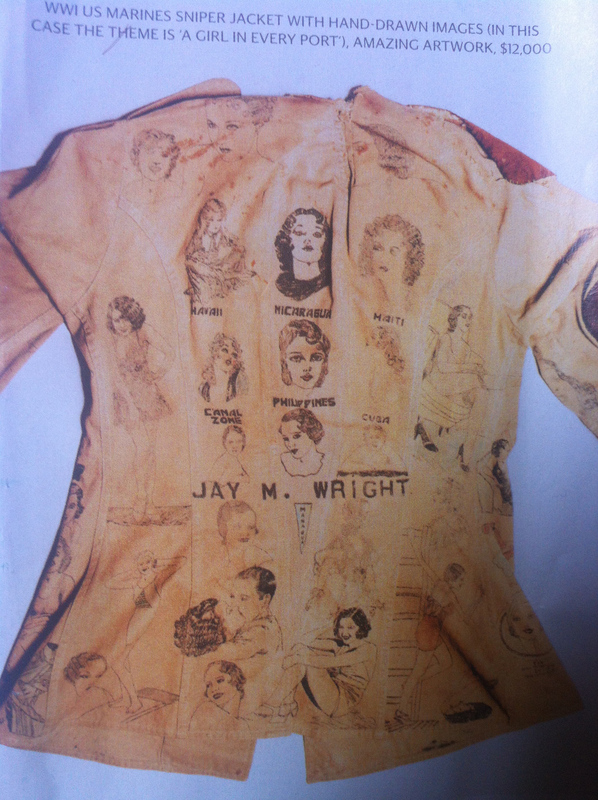 My favourite from the collection was this WWI-era US Marines sniper jacket, which has hand-drawn ladies on the inside – the theme is ‘a girl in every port’. It’s valued at around $12,000! Click on either of the pictures above for a better look – Miss Canal Zone is my favourite.